Neurofeedback, also called neurotherapy or EEG biofeedback, refers to a computer-aided training method in which electrical brain activity patterns are made visible to the client through a highly specialized computer program. The feedback – what the brain is doing, in real-time- is presented in the form of visual or auditory cues, aiming at creating efficient, coherent brain activity patterns, while discouraging unwanted ones. Neurofeedback is an effective, evidence-based, safe approach to address a vast array of psychological, emotional and medical symptoms. Neurofeedback training can increase the attention span and impulse control in children with ADD/ADHD (Attention deficit disorder and attention disorder with hyperactivity), by targeting the cause of learning difficulties associated with these conditions. In October 2012, the American Academy of Pediatrics’ report on evidence-based child and adolescent psychosocial interventions, concluded that EEG biofeedback (aka neurofeedback) is a “Level 1 best support intervention” for Attention and Hyperactivity behavioural problems. A previous study found that neurofeedback has the same efficacy as methylphenidate (Ritalin) on attention deficit/hyperactivity disorder (ADHD). With no side effects. Following successful neurofeedback training, children on ADHD medications might, in accordance with their doctor’s recommendation, reduce or eliminate the need of pharmacological treatments. Parents and teachers who have witnessed the improved attention span, impulse control and learning readiness of children with Attention Deficit Disorders, are the best testimonials for the effectiveness of neurofeedback training in solving ADHD-related issues. Fuchs, T., Birbaumer, N., Lutzenberger, W., Gruzelier, J. H., & Kaiser, J. (2003). Neurofeedback treatment for attention-deficit/hyperactivity disorder in children: A comparison with methylphenidate. Applied Psychophysiology and Biofeedback, 28, 1-12. Neurofeedback can be valid alternative to sleep medications because it trains the nervous system to create the balance needed for healthy sleep patterns. Following neurofeedback training, sleep quality can improve surprisingly quickly, even for those clients who have a long history of sleeping issues. A further brain-regulating technology associated with improved sleep, Alpha-Stim , is available at MindHub Neurotherapy and can be used to complement neurofeedback training for sleep issues. Alpha-Stim is a FDA-cleared, clinically proven electromedical device that uses electrotherapy stimulation to relieve pain, anxiety, depression and to promote better sleep. 9 out of 10 patients using report significant improvement for these conditions. Neurofeedback can enhance the control over anxiety, depression and panic disorders by persistently reorganizing relevant brain networks associated with mood dysfunctions. Neurofeedback trains the brain to break up the escalation of turbulent brainwave activity that can build up to a “boiling point” and possibly cause a panic attack. The central nervous system is trained to function in a balanced, stable, resilient mode. Scheinost, D., Stoica,T. et al. (2013) Orbitofrontal cortex neurofeedback produces lasting changes in contamination anxiety and resting-state connectivity. Translational Psychiatry. Research about the effects of neurofeedback on depression is still ongoing, but the preliminary results offer a very positive outlook on the possibilities offered by neurofeedback as a possible tool against depression. For now, research supports the use of neurofeedback for depression either in conjunction with traditional pharmacological/psychotherapeutic treatments, or when these traditional methods are ineffective or only give partial results. The positive outcomes of decreased symptoms of Asperger’s Syndrome after neurofeedback training, including anxiety, social functioning and emotional expression, provide preliminary support for the use of neurofeedback as a helpful component of effective intervention in people with Asperger ’s Syndrome and other autistic spectrum dysfunctions. 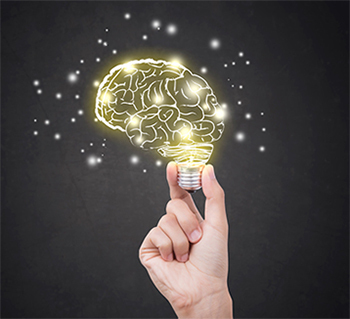 Neuroptimal® neurofeedback encourages an overall positive mental outlook. For those looking to enhance their daily health and wellness, Neuroptimal® neurofeedback training is an excellent supplement to a healthy diet and exercise routine. Executives, athletes, musicians: Fighting off stress, thinking clearly, being productive and having clear focus is crucial for anyone on a team, especially the upper management employees. Used by musicians, professional athletes, and business leaders to achieve peak performance, neurofeedback trains the brain to operate more efficiently-increasing versatility and resilience to stress – all while improving your performance and focus. In competitive sports, Neurofeedback helps avoiding the downward spiral of self-doubting by training the brain to maintain focus and concentration, while blocking out and ignoring internal distractions. Neurofeedaback trains the “quiet” mindset, the ideal substrate to create peak performance. We understand that time constraints can be an obstacle to incorporating NF into high performers’ busy schedules. Because trained brains accomplish more, in terms of accuracy, efficiency and productivity, it is unfortunate that executives, business leaders and people with demanding jobs might miss the opportunity to get brain training benefits due to time limitations. For this reason, we now offer neurofeedback sessions delivered directly at the client’s office. 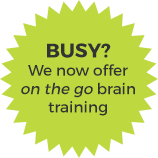 Please contact MindHub for more information about the neurofeedback on the go option and to discuss corporate plans and rates. Prevention and treatment of age-related and cancer treatment-induced cognitive decline. Elderly patients, complaining about age-related mental cognitive decline, have found neurotherapy to be an effective tool for symptom reduction and cognitive enhancement. Also so-called chemo brain symptoms can be reduced through neurofeedback intervention. Chemo-brain often manifests as fogginess in thoughts, cognitive changes and dysfunctions, and memory loss that occur during and after chemotherapy. According to the results of a pilot study, neurofeedback has the potential to reduce or even reverse the cognitive impairment associated with chemotherapy. Over the course of 3 testing phases, patients using neurofeedback showed significant improvement in cognitive function, quality of life, perceived impairment, use of sleep medications, and depression. Improvements were generally maintained during follow-up testing. Neurofeedback Improves ‘Chemo Brain’ in Cancer Patients – Medscape – Nov 17, 2011. Seizure control is at the very core of neurofeedback history. NF, in fact, was originally developed as a treatment for epilepsy. The work of Dr Joe Kamiya in the late 1950’s, demonstrated how a simple brain feedback device could train cats to control epileptic seizures, obtaining the same results with humans in a later study. In the 1960’s, NASA used a simple form of neurofeedback – by today’s standards – to train astronauts to control seizures, in case they came in contact with epilepsy-inducing rocket fuel exhausts. More recent studies support the finding that “it is possible to train the brain to de-emphasize rhythms that lead to generation and propagation of seizure and emphasize rhythms that make seizures less likely to occur”. Walker, J. E., Kozlowski, G. P. (2005). Neurofeedback treatment of epilepsy. Child and Adolescent Psychiatry Clinics of North America. 163-176. In addition to NeurOptimal dynamical neurofeedback, MindHub Neurotherapy also offers linear, or classical, Neurofeedback. The therapist, after performing a short electroencephalogram (QuickQ) to spot areas of inefficiency in brain activity, defines a training protocol based on the QuickQ results. Classic neurofeedback helps retrain the brainwaves to optimal levels and to address symptoms associated with specific inefficiencies in brain electrical activity. The QuickQ test can be offered as a stand-alone assessment or in conjunction with brain training. In case you are interested in this opportunity, let’s have a talk to determine the most suitable use of the QuickQ based on your needs. At MindHub NT, we use Nexus10 for linear neurofeedback. Nexus10 is a Medical CE certified (IIa), FDA registered (II) device. Biofeedback is a method for visualising and training usually unconscious physiological processes, such as respiration, muscle tension, heart rate, galvanic skin conductance and peripheral temperature. The goal is to gain long-term self-regulation and control over physiological activity to improve health and performance. Research shows that biofeedback, by itself or combined with other behavioral therapies, is effective for treating a range of medical and psychological disorders, often related to stress and anxiety. Please refer to the Association for Applied Psychophysiology and Biofeedback (AAPB) for a review of efficacy ratings. Measure : Identifying the cause of the physiological misbalances of the client and setting the treatment plan. Gain awareness : Visualising one or more physiological signals and showing the close interrelationship between mind and body. Optimise : Optimizing the mind-body interface with real time audio-visual feedback based on the physiological state. Monitor : Analysing physiological effects and results of one or multiple sessions. Dr. Valdeane Brown and Dr. Susan C. Brown, Zengar Institute founders, have developed a non-linear, dynamical system that monitors and reacts to a broad EEG spectrum from both brain hemispheres simultaneously. Neuroptimal® is designed to detect turbulence – sudden changes in the brain electrical activity – and to react to it while the client listens to music in relaxed state. When turbulence is detected, the software informs the brain about its own activity through a brief interruption in the music flow. The brain, through this real-time mirroring of its own activity, will soon start to recognize that its turbulence triggers the interruptions and will start to reorganize itself towards more appropriate, more effective patterns. Brain training with NeurOptimal® can help the brain reach its optimal potential, improving cognitive and physical performance, enhancing focus and deepening sleep. Neurofeeback clients typically report feeling calmer, clearer, happier and able to function better in their life. What happens during a brain training session? During a NeurOptimal® brain training session, two small sensors are placed on your scalp and ear clips are attached to your ears. Through these sensors, the system can detect incoherent brainwave activity patterns within sixteen different sets of frequencies across the right and left-brain hemispheres. While sitting on a comfortable chair, you’ll listen to music or watch a movie *. Through barely audible pauses in the music (or sound in case you are watching a movie), NeurOptimal® communicates with the brain, letting it know what it has just done. These interruptions give the opportunity to the brain to self-correct into a more natural, relaxed and effective pattern. A NeurOptimal® neurofeedback session lasts 33 minutes. At the end of the session you can immediately resume all your activities. You might feel refreshed, relaxed, and in a higher state of mental alertness and flow. *If you wish to use movies, please bring your own DVD. NeurOptimal® is the system of choice for the “on the go” option. The packages are not refundable; however, they can be transferred. Please call at least 24 hours in advance to avoid charges. I am recognized by complementary health insurances, according to the guidelines of the ASCA Foundation and the Neurofeedback Organisation Schweiz (NOS). Please talk to your insurance directly to check whether your plan covers my services. We are recognized by complementary health insurances, according to the guidelines of the ASCA Foundation and the Neurofeedback Organisation Schweiz (NOS). I am fluent in Italian, English and French and I have an excellent command of the German language. 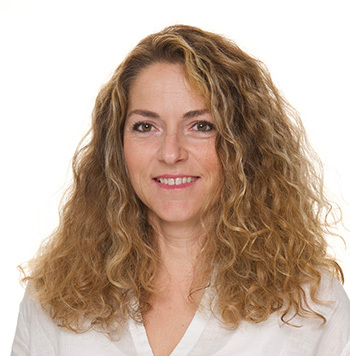 MindHub Neurotherapy GmbH, Reg. No CH-020.4.050.140-1/a is a company with limited liability, registered under the Swiss law with legal seat in the Canton of Schwyz, Switzerland.